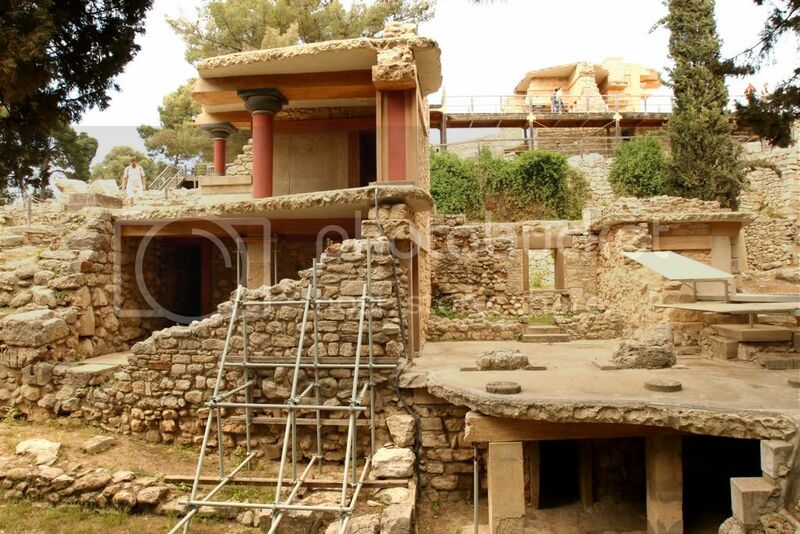 Criticized by some as over-restored, the Minoan palace was built in the Bronze Age, around 1600 BCE, and represents the earliest known high civlization in Europe. Minoan art was more colorful, realistic, and playful than any previously known; and there is no evidence of war or other conflicts between different Minoan towns. Minoan civilization is thought to have been largely destroyed by the eruption of the volcano that has made Santorini such a dramatic caldera island.